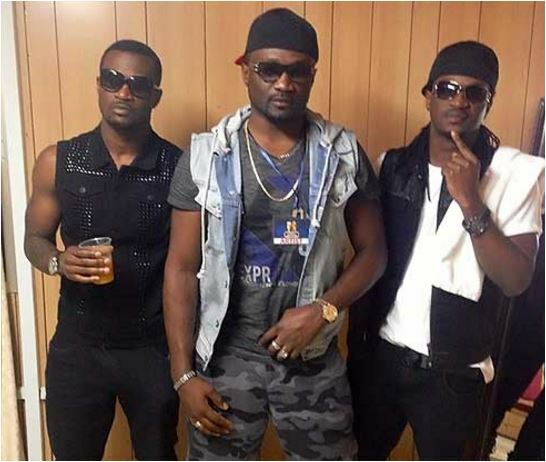 Nigeria’s foremost RnB duo Peter and Paul Okoye have reportedly gone their separate ways, after several disagreements, disbanding their group P-Square. The twin brothers have been posting aggressive posts on their social media of late, sparking rumours that, once again, all was not well with the group. This had progressed to the cancellation of their tour, which led fans to believe that the brothers had broken up. In a report by LIB, Peter has reportedly sent to their lawyer Festus Keyamo a demand for the termination of the agreement between the group – P-Square. Peter reportedly defends his decision with a series of allegations made against his twin brother Paul Okoye and their elder brother/manager Jude Okoye. He also said Paul has refused to work with him, despite all of his attempts to make their relationship work. Alleging that Paul cancelled the group’s North American tour without his approval. He also reportedly accused Paul of slandering both his wife and kids on social media. He added that they have been receiving threatening messages. Jude Okoye was also reportedly accused of threatening to shoot his wife, Lola, in the presence of Paul, and the former first lady of Cross Rivers state Obioma Liyel-Imoke. Jude also allegedly threatened to have a coffin for him if he attempted coming close to his house. Peter, in the letter, reportedly said he had had enough. He loves and wishes his brothers well in their respective careers, he said, and he is opting out and adopting the name Mr P.
He cannot betray his wife and kids, he reportedly said.